You can dictate the music style by adding markers to delimit grooves in the XML and MIDI files. The XML file is also used to descriibe the chord progression used. 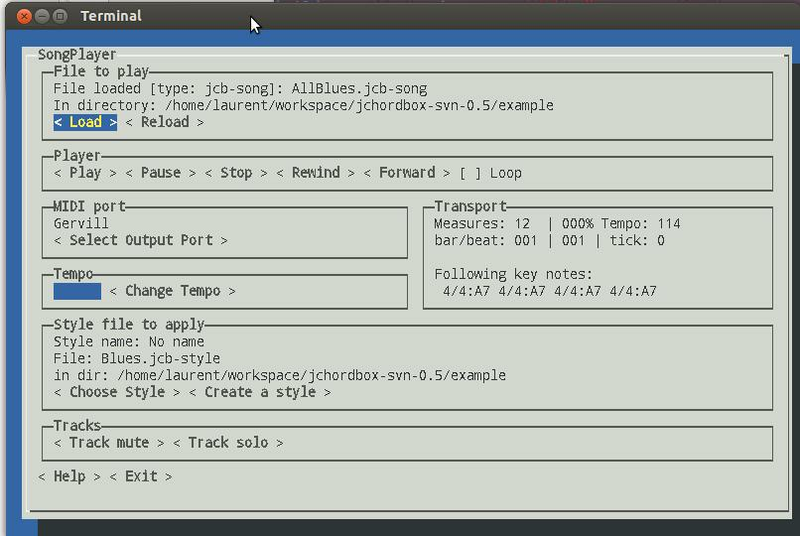 JChordBox comes with several command line tools (GenerateSong, CreateStyleFromMidiFile, SongPlayer …). provides java API for future WYSIWYG software integration.